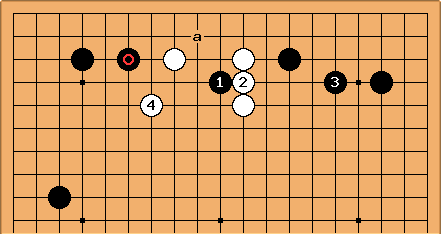 When White plays the marked stone as a wedge, Black 1 is an idea to inhibit White at a. 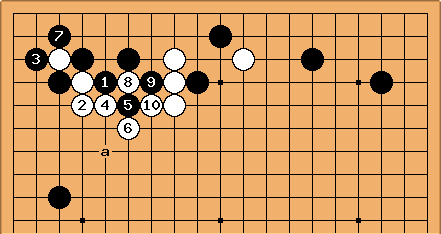 White b, Black c is interesting for Black. This is from an Edo period game in Japan. 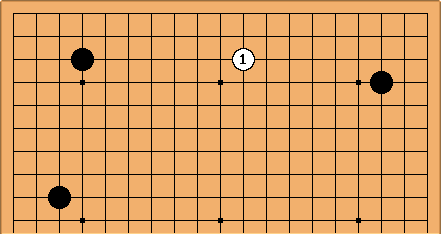 See 3473 enclosure for Black's left-hand corner. 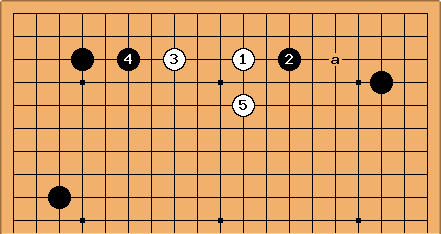 The prevalence in contemporary Go of the mini-chinese formation means that players now often face a side position like this. White 1 is the favoured wedge. This goes against classical ideas, that an approach in the right-hand corner is larger. 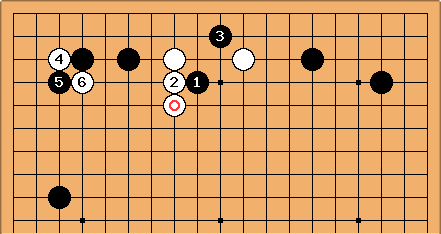 This sequence has been developed in a number of recent games by Chinese and Korean players. White is trying to build a strong group to limit Black's framework on the left. Black isn't content with any normal enclosure. Black 2 at a is clearly possible - in fact experiments with 2 one, two, four and five lines to the left have been seen. Recently has been played in order to try for more immediate advantage. In a game Pak Yeong-hun-Yi Se-tol 2002-10-31 White reacted with the contact play , to try for sabaki. 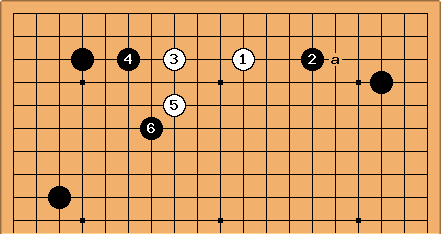 Then White built some influence with the plays from (Black 11 connects at , White 12 at a). Also popular in recent pro games is , which leaves a clear weakness behind at a. So in this case is comprehensible. to threaten to the right. This is a continuation being played now. The combination + follows the logic 'force on the side you won't reinforce'. After White defends actively at , ahead of Black at a, Black plays tenuki: the play at means that Black already has a base in the left corner.